One of the best-ever news reports I’ve seen on the Democratic Party Presidential contest was Tierney McAffee’s “ BernieOrBust: Why 20 Percent of Sanders Supporters Say They Would Vote for Donald Trump over Hillary Clinton” at people.com, the website of People magazine — hardly a place where one would normally expect to find such crackerjack well-researched reporting on politics. 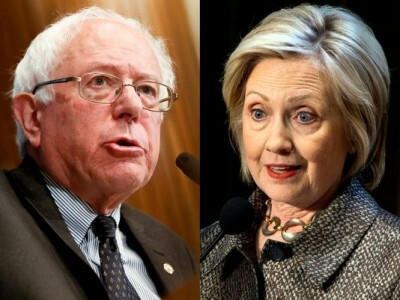 What all of the evidence taken together (and so well-summarized there by McAffee) shows is that both Clinton and Trump are disliked by the American electorate but Sanders is liked by the electorate and is therefore far easier for Clinton’s supporters to vote for on Election Day than Clinton is easy for Sanders’s supporters to vote for on Election Day. Furthermore, an article at Huffington Post, on the same day, May 23rd, by the team of Howard Fineman, Jason Linkins, and Lauren Weber, adds yet further depth to this picture of a substantial percentage of the Sanders electorate who really detest Clinton: the HuffPo team headlined “Here’s What Bernie Sanders Should Ask For At The Convention”, and listed ten recommendations for Sanders, all of which assumed that Sanders’s voters trust what Clinton says, and that they trust the symbolic actions she takes during her campaign, such as to “GIVE BERNIE A SERIOUS ROLE IN THE ‘VEEPSTAKES’,” and “PRIMETIME SPEECH SLOT,” and “PUT SANDERS IN THE PARTY PLATFORM,” and “WALL STREET PROMISE PART TWO,” and other things which, to the extent Hillary is promising something, just won’t be trusted by Sanders’s voters; and, to the extent Sanders would be agreeing to them (such as to run on the same ticket as she) would turn off Sanders’s voters so hard and so fast that his high net favorable rating would collapse — he’d suddenly become viewed as having been just a fake during his prior campaign. While Sanders should get some concessions, giving him too much would be an affirmation that his negative behavior enabled him to get his way. Giving him a prime time speech may be a mistake considering he hasn’t been able to be positive at all about the DNC. It IS the Democratic convention after all and a lot of Dems are really mad at Bernie for the disruption and negativism that has done nothing but help Trump. The downticket Dem $ that Hillary is supposedly raising is going directly back to DNC, being passed on to Hillary. Kentucky recent FEC filings and others show that. . .get informed and research! In other words: most of the comments were pro-Clinton and anti-Sanders, and many of the rest were pro-Sanders and anti-Clinton. How likely is it that the individuals who posted those two representative comments, just cited, will be anything but enraged at being on the same team — especially the Sanders supporters? How many of them (especially of the Sanders voters) will even want to be on the same team? Very few. And, as far as whether they’ll even vote for Clinton: the mutual hostility is likelier to be building each and every day of the general-election campaign. The disgust that’s felt toward Clinton by many of Sanders’s supporters would only increase, notdecrease. This isn’t really a Party that’s coming together; it’s one that increasingly will be splitting apart. Such real hostility can’t be eliminated by any of the tactics that the Huffington Post team were recommending. Clinton and Sanders represent very different value-systems: pro-aristocracy (respecting Wall Street’s mega-bankers and the corporate executives they represent) on Clinton’s side, and anti-aristocracy (respecting Main Street and detesting Wall Street) on Sanders’s. Whereas Clinton is trickle-down Democratic Party, Sanders is the old percolate-up FDR Democratic Party — something that Bill Clinton with his NAFTA and with his ending FDR’s Glass-Steagall and other Wall Street regulations has ended, and that Hillary has worked even more feverishly than her husband to end. Plus, Clinton ended AFDC and sent millions more children into even deeper poverty. Hillary is very strongly trickle-down — even more so than her husband; Sanders is equally strongly percolate-up. For Sanders to become the leader of a new anti-Republican-Party, anti-Democratic-Party, pro-authentic-democracy political movement, in the United States will be easy, but leading it against the deep and pervasive corruption of today’s American government will be extremely hard, for anyone to do. But he just might have to try.